1. Login to your Wordpress dashboard and install our Wheely Sales Wordpress Plugin and then Activate the plugin. 2. Copy your Wheel ID from the Wheely Sales dashboard. 3. 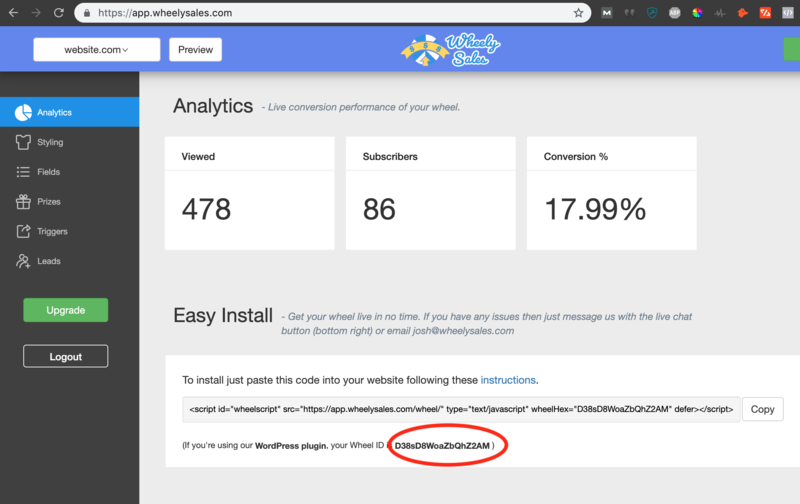 Go to Wheely Sales Plugin settings in your Wordpress dashboard. Then paste in your Wheel ID and save.